Insurance can be confusing, both taking out a policy correctly and also where it comes to claiming. Here are some questions we’ve been asked. Visit MCN Compare for the best quote on your motorcycle. Can I get my No Claims Discount cover for two bikes? I’m having difficulty getting my insurer to provide evidence of my no claims discount. They say my NCD has been applied to the cover for a new bike I’ve purchased. I can’t ride both bikes at once, so what is the problem? Your NCD can only be applied to one policy. It is not attached to you to use as evidence when getting different policies. So, if you have one policy already running it gets all the benefits of the NCD, and the next one is treated as if you were a new rider. The only way you could get it to work would be if you had a multi-bike policy. Can I claim some cash to pay for painful whiplash? A month ago I was hit in the side when a car skidded into me. Fortunately I didn’t break anything, but after the first week I have developed incredibly painful whiplash in my neck. The compensation company my insurer directed me to hasn’t contacted me for three weeks and when I chase them no-one knows what’s going on. I would like my neck sorted but I can’t afford physio and I am told the NHS waiting list is ridiculous. How can I get this treatment? Answered by Andrew Campbell, Solicitor and author of the MCN Law column. It is quite normal for whiplash symptoms to develop some time after the accident (usually within 48 hours, but sometimes more) and the symptoms, as you have found out, can be very painful and debilitating. Liability would appear to rest with the other driver so you should recover the cost of treatment although I don’t have all the facts. It is very poor that you have not heard anything from your legal firm for three weeks. Early intervention by way of physiotherapy can do wonders for whiplash and you should be seen as soon as possible. A law firm can arrange this at no cost to you in circumstances where the claim is going to be accepted by the third party insurer and yours should have done so. You can always change law firms and get a more pro-active one. Presumably your bike is in need of repair too and your kit may be damaged. You will be able to claim for your financial losses (including private medical treatment) in addition to claiming damages for your injuries. Any decent firm will act for you on a no-win, no-fee basis. I stopped at a Give Way sign waiting to join a main road and started to pull out as I thought the coast was clear. Just as I passed the Give Way markings in the road I saw an ambulance coming towards me from my right, so I hit the brakes. However it turned off the road before it got to me and I was hit from behind by a car. The car driver and his insurance company say this accident was my fault as I carried out an unnecessary emergency stop. I wasn’t hurt but my bike has some damage. My insurance company doesn’t seem too bothered about defending my position and I am now worried that they will pay out and I will lose my No Claims Discount which I can ill afford. As a general rule, road users should maintain a safe stopping distance between themselves and any vehicles ahead of them. Assuming that there was nothing wrong with your brake lights it sounds to me as though the car driver was either travelling too close behind you or was not paying enough attention to the road ahead of him. In which case, the car driver should be 100% responsible for the accident. However, your insurance company is obliged to investigate the accident and should not be looking to have you accept responsibility for an accident that on the face of it was not your fault simply to avoid a legal dispute. You should demand that they take your concerns seriously and complain to the Financial Ombudsman if they do not do so. Can I get what I paid for the bike? My son recently bought a Fireblade from a dealer. He paid £9000 for it. He thought it was a reasonable price as it had only done 100 miles and was one of only five limited-edition bikes. He insured it for £9000. The broker did not query the value and charged an appropriate premium. The next day the bike was stolen from his work. He has just received an offer for £5000; this will not be anywhere near enough to put him back on an equivalent bike. He has a £1000 excess on the policy which he accepts. I have found 23 Fireblades for sale with less than 1000 miles from £9800 to £12,500. Should he employ a loss assessor to recover as much money as he can? My reading of this is that the bike was stolen the day after it was purchased and as such, assuming your son has proof of the purchase amount, this is excellent evidence of the bike’s actual market value. Your son doesn’t need a loss assessor. I suggest he contacts his insurer (not broker) with the evidence he has as to value (price paid and comparable prices) and ask them to reconsider and pay him the £9000 he paid, less the excess. If the insurer does not respond favourably then your son can raise an official complaint with the insurer, which they must investigate. Failing that, your son may refer the matter to the Financial Ombudsman Service (FOS) asking them to investigate. Should the FOS not agree to deal with the matter then it would also be possible for your son to consider a claim against the insurer for breach of contract. Am I covered without an MOT? I’ve had multi-bike insurance for eight years but when I received my renewal, I noticed a clause stating any vehicle without a valid MOT was not covered. I called my insurer to query this and was informed they would not renew my insurance as my bikes had no MOTs. I work abroad for up to four years at a time, so sometimes my bikes are unused for years, but SORNed and kept in my shed. Three other brokers have told me the same. So even if I wanted to ride them to the MOT station I would not have valid insurance. Most policies will include a condition to keep your bike in a safe and roadworthy condition and protect it from damage, theft etc. 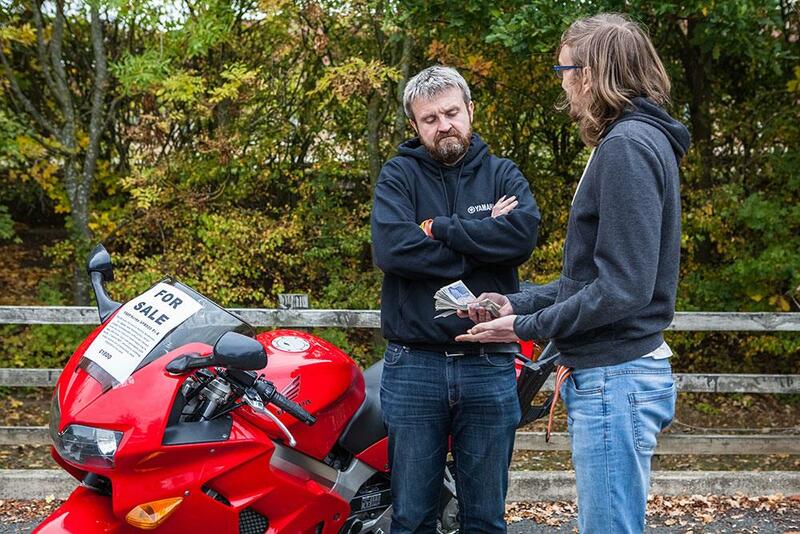 This includes having a valid MOT and keeping to all legal regulations relating to your bike and its ownership. Failure to comply with this may result in your policy being cancelled or your insurer refusing to deal with your claim. Most bikes stolen from garages are not recovered, but I would expect the majority of insurers to pay out, even without an MOT. 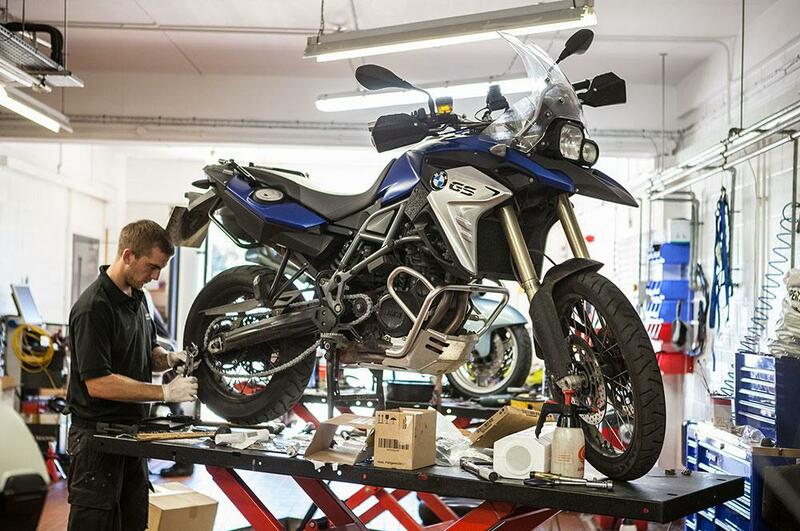 However, a current MOT is one of the ways an insurer values a bike, so you might be offered a reduced payout. If you are storing a bike, take a photo with that day’s paper as evidence of its condition. I think the bigger issue in your case, which triggered the refusals, is that you ‘work abroad for up to four years’. If you’re not a permanent resident in the UK (physically) this will usually need referring to an underwriter. If your broker/insurer is not aware of your particular circumstance, I would contact them immediately so you have peace of mind that you and your bikes are fully covered. If there’s something you would like to know regarding insuring your motorcycle, send your questions to advice@motorcyclenews.com.